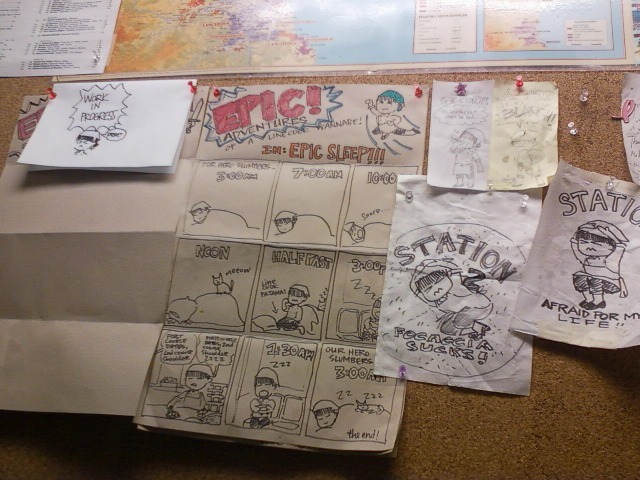 From left to right: an Epic comic still in progress, the first Epic comic I ever drew, the Rejuvelac comic, two drawings illustrating my feelings during my initial stint on Station 2. I doodle a lot. 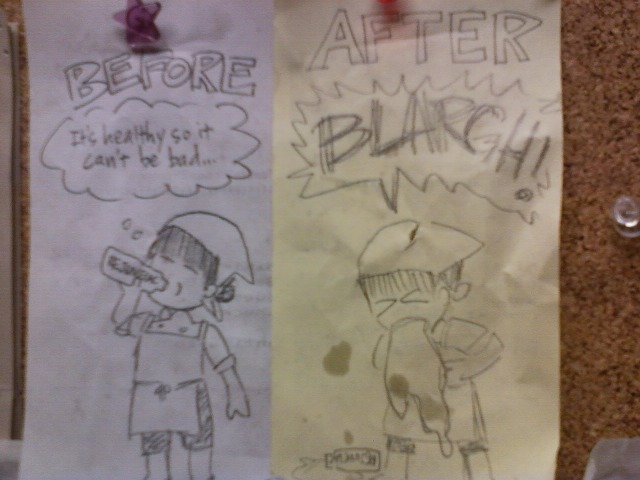 So much, in fact, that I created an art wall of staff caricatures by the locker room. Then I was told that Corporate wanted me to take it down. So I did. I still don’t really know who “Corporate” consists of, but if Nameless Higher-Ups tell you to do something via your awesome manager (Liz), then you should probably heed the warning. Not that it’s stopped me from drawing and pinning art to the wall again. Can’t keep a doodler down, yo! 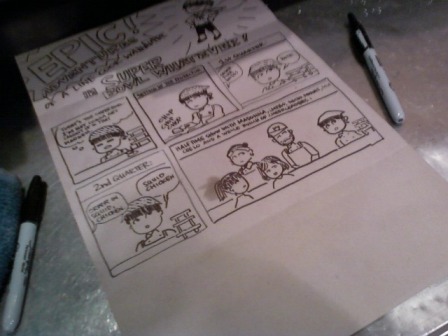 Categories: Uncategorized Tags: art, comics, doodles, oh snap!